The weather was becoming hot again during last week, so it made me crave for a nice hot curry dish! 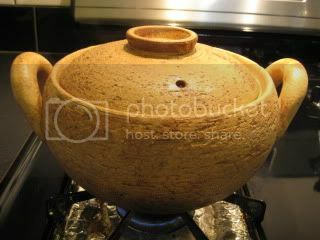 To make curry, my Soup & Stew Donabe, "Miso-shiru Nabe", is the best tool. This donabe does the best stewing/ braising job with its slow and steady heat distribution. Because of this effect, flavors of meat (protein) tends to be kept inside and develops umami flavor during cooking, while you tend not to need skim much. 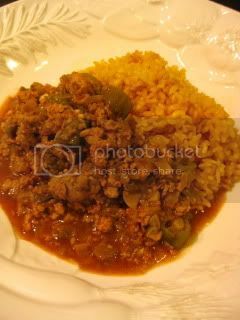 This curry recipe is a variation of my original Pork and Okra Curry. 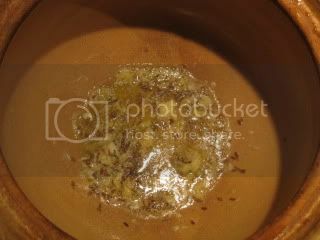 First, I sauteed cumin seeds with grated ginger and garlic in olive oil + butter until aromatic. Then, minced onions were added and sauteed until caramelized. Ground pork was added. 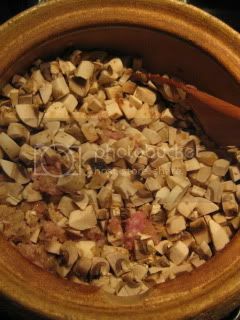 Once the pork was almost cooked through, chopped mushrooms were added. Once everything was cooked through, curry powder, cayenne pepper, and chili powder were added and sauteed until aromatic. 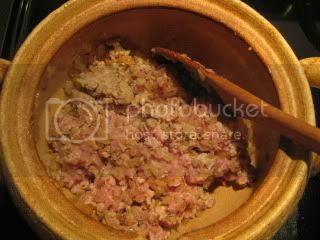 Then, my homemade shio-koji, fond de veau (you can substitute with beef or chicken stock) and tomato sauce were added. The curry was simmered for about 25 minutes. 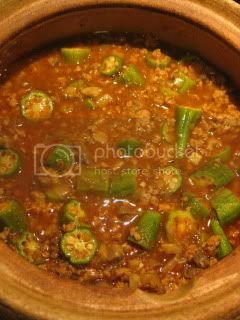 Then, cut okra and garam masala were added and simmered for additional 10 minutes. The seasoning was adjusted by addition of some salt and pepper. 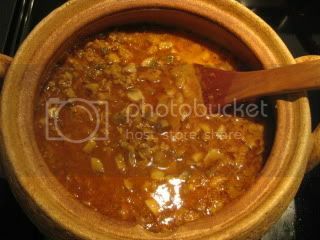 After turning off the heat, the curry was rested in the donabe for 10 minutes (meanwhile, carryover heat continued to simmer the curry). Then, the curry was ready! It was served with turmeric rice, boiled egg, lime wedge, and chopped cilantro and scallion. So delicious and so deep! 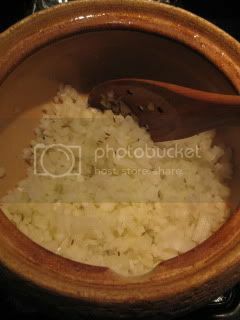 The "secret weapon" of shio-koji definitely added extra depth to the flavors. 1. Heat the olive oil and butter. Saute cumin seeds, ground garlic and ginger until aromatic. 2. Add the onions and saute in medium-low heat until mildly caramelized (about 30-45 minutes). 3. Turn the heat up to medium-high. Add the ground pork and saute. Once the pork is almost cooked through, add the mushrooms. 4. Once everything is cooked through, add the curry, cayenne, and chili powder. Stir until aromatic. 5. Add fond de veau, shio-koji, tomato sauc, and bay leaves. As soon as the broth is almost boiling, turn the heat to simmer. 6. Line the surface with a piece of foil, cover the donabe with lid, and simmer for 25-30 minutes. 7. 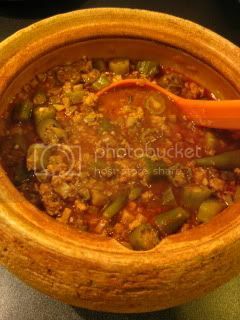 Add the okra and garam masala. Continue to simmer for additional 10 minutes. Adjust the flavor with salt and pepper, if necessary. Turn off the heat and let rest for 10-15 minutes. 8. 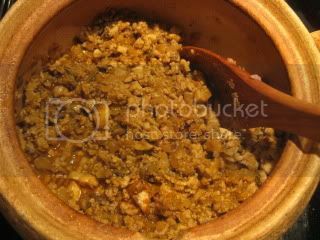 Serve the curry over donabe turmeric rice and condiments.